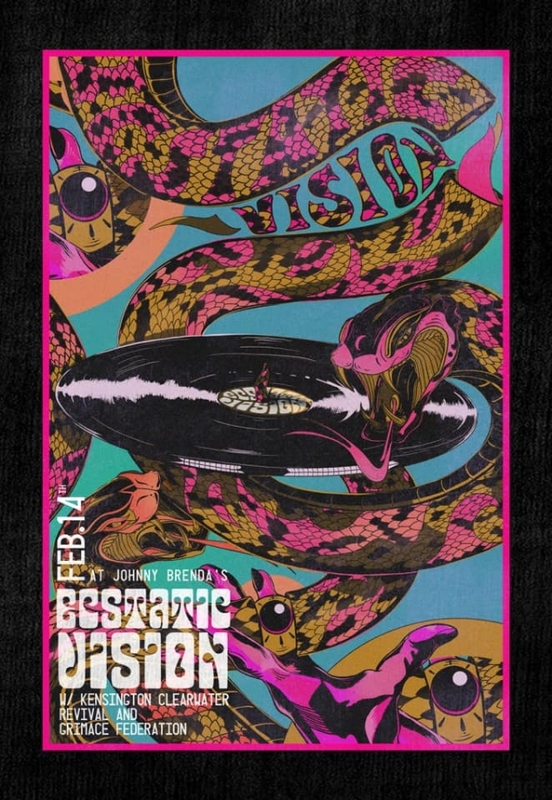 Philly heavy-psych rockers Ecstatic Vision are taking a break from the recording studio, and are ready to shred some hearts this Valentine's Day at Johnny Brenda's. They'll be testing the limits of sound with local neighborhood pals Kensington Clearwater Revival and Grimace Federation. To enter for a chance to win a pair of tix, just send an email to thedelimagazinephiladelphia@gmail.com with the subject line "No Love for the Wicked". Please also include your cell number in the body of the message (in case of an emergency). Good luck!